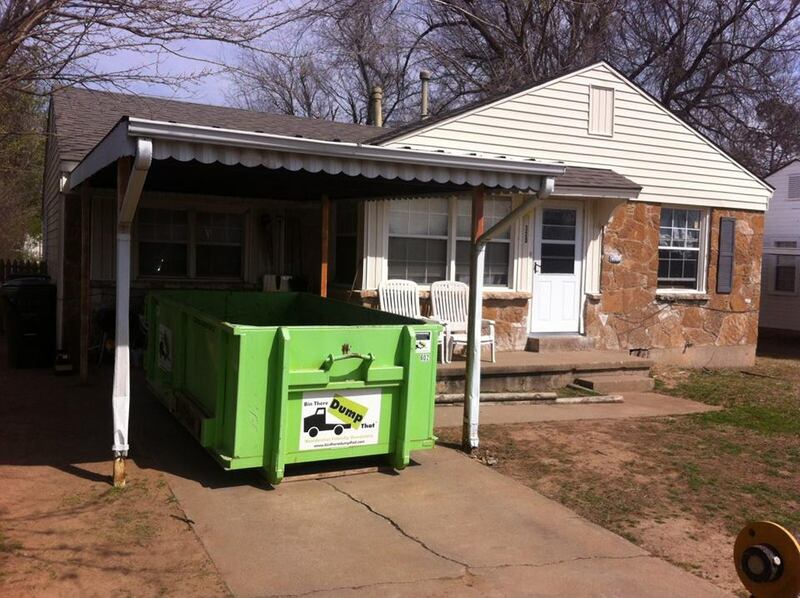 Because we specialize in convenience for our customers, Bin There Dump That is Oklahoma's choice for unwanted debris removal. 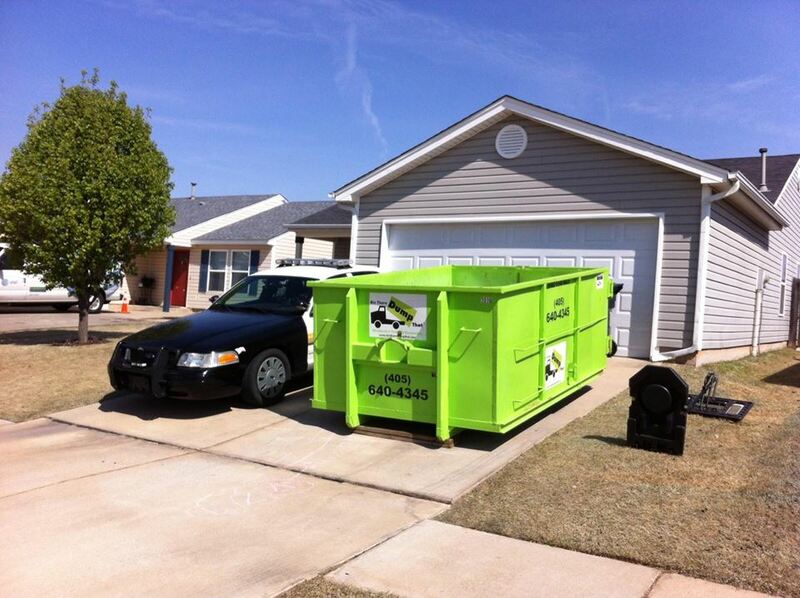 Whether the job is residential or commercial, we have the perfect bin. Bin There Dump That has bins in several sizes, accommodating all jobs. Our 4 yd. bin is 9 ft. long by 6 ft. wide and is 2 ft. tall. The 6 yd. bin is 10 ft. long by 66 inches wide and is 36 inches high. And the 10 yd. bin is 10 ft. long, 7 ft. wide and 4 ft. tall. 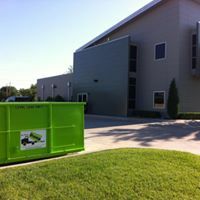 All of these bins are perfect for small cleanout jobs, yard debris, and also heavy items such as brick or concrete. However, you may have furniture to dispose of, or you are renovating your home. Larger jobs are easily done with the other sizes we offer. Our 14 yd. bin is 12 ft. long, 8 ft. wide and 5 feet deep. And the 20 yard bin is also 12 ft. long by 8 ft. wide, but 2 feet taller, at 7 feet. All of our bins fit perfectly in a single space driveway, even the larger ones! And many times, a combination of bins is ordered to complete the job. Besides providing several sizes of bins to fit the large variety of residential and commercial uses, our bins are paired with the proper lifts and equipment, ensuring the safest transport, delivery, and pickup. What this means is our transporting vehicles are fitted exactly with each bin, making for safe transportation around other motorists and the smoothest of delivery and pickup at locations. Safety and the care of your property come first. Our employees will also cover the bin with a tarp when picking up, assuring all items stay in the bin. They then sweep up the area, returning your driveway to its original condition. Instead of taking several trips to the local dump, Bin There Dump That gives you the convenience of having a bin delivered to you for collection of your unwanted items. Some projects are planned, such as remodeling or downsizing. Some other events happen that we don't plan, such as storm damage. Our convenient bins make every project more simple with the ease of collection bin and dumping in one phone call.